While canine separation anxiety may be flattering to you at first, it quickly turns into a major dog behavioral problem, if not addressed. Separation anxiety can develop at any time, but it most often starts when a dog is still a puppy. In addition, dogs who have been abandoned and then adopted are often less secure than others. It is believed that the loss of their former owners has some bearing on their insecurity. Dogs with canine separation anxiety can be pretty busy while you are gone! How common is separation anxiety in dogs? It is estimated that 14% of all dogs experience anxiety when left alone. Most people know when their dog has canine separation anxiety symptoms. The symptoms occur when you leave your dog alone at home. You know that you have a problem when you come home to damages and chaos. Or the neighbors give you reports. When you get ready to leave the house, your dog follows you closely from room to room. She lets you know that she wants to go with you. By itself, this is not considered to be separation anxiety. 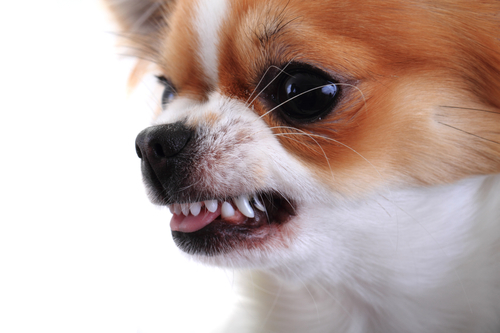 Whining or barking – This starts as soon as you leave the house. It may stop after a while, or it may continue for the entire time that you are gone. 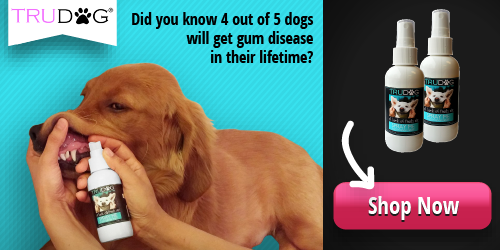 Chewing – sometimes on furniture or your home’s furnishings. Chewing releases an endorphin (happy hormone) similar to one that is released when people chew gum to feel calmer. Excessive salivation – an anxious dog will drool and salivate a lot. You’ll find wet puddles of saliva. Soiling in the house – especially if your dog is housetrained, he will pee or poop in the house when you are gone. Do not punish him for this, as punishment will only make his anxiety worse. Self-mutilation – Your dog licks or bites himself excessively. Running away or escaping – Your dog is looking for you. Thunderstorm anxiety is a phobia that is closely associated with separation anxiety. Dogs with separation anxiety often also have thunderstorm anxiety. Anxiety about thunderstorms is real and your dog can experience true terror when she hears a storm coming. And your dog can experience thunderstorm anxiety, even if you are at home. Theories about why dogs have thunderstorm anxiety vary, but the treatment for this phobia is the same as the treatment for separation anxiety. The video below shows examples of dogs with anxiety about fireworks. Watch how they respond to Doggy Dan’s working with them. Click here to gain access to Dan’s training videos, website and forum, for 3 full days for just $1. You’ll find a lot of advice on how to cope with dog separation anxiety. Most people will suggest making sure that your dog gets lots of exercise before a thunderstorm or before you leave. Others suggest that you get your dog used to being alone by “practicing leaving”, then increasing the time that you are gone. As well-intentioned as this advice is, it is off the mark! It really doesn’t get to the real issue with your dog. Doggy Dan, endorsed by the SPCA in New Zealand, is the only trainer who gets to the core of the anxiety problem. It’s really quite simple. You need to establish yourself as the Pack leader or the Alpha dog at your house. Let me explain. You need to view separation anxiety from your dog’s perspective, not yours. If your dog experiences separation anxiety when you leave (and it ends when your come home), she thinks she is the pack leader. She thinks she is in charge and is worried about you. She feels responsible for your safety. Dogs and wolves in the wild do not wander out of the den alone. The pack leaders (alpha male and female) make all the decisions and they protect others in the pack. In the wild, the underlings do not leave the den unless they are accompanied by the leaders. When you establish yourself as the Pack leader, your dog will calm down. She no longer is responsible for you, and you will take care of her. Your dog will be happy and calm in her new role. 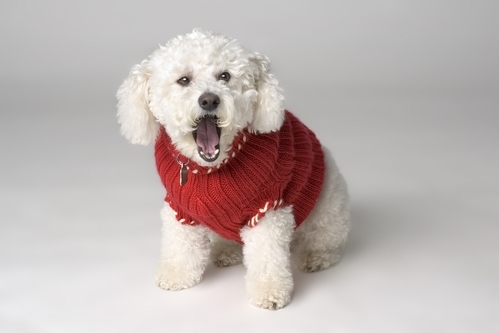 Watch this video to see how a Bichon Frise calms down and stops his separation anxiety barking. The dog’s owner will still have to practice this, so the dog understands that her owner is in charge. You can learn how to do this easily (and it does work!) by accessing The Online Dog Trainer website and forum for just $1 now. In addition to establishing yourself as the Pack leader, many people want to have a little extra help. There are a few products that you can purchase to help get your dog calm. While these products do not solve the problem of anxiety in your dog, they can help your dog calm down. 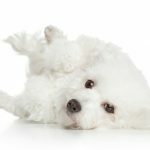 Zesty Paws Calming Bites – Dog treats with a turkey flavor, these dog treats have a number of herbs that are proven to be calming. Thundershirt – Using a principle that has been used effectively with autistic children, the Thundershirt hugs your dog or applies pressure to her chest to calm her. Mutt Muffs – If your dog is especially sensitive to loud noises, you might try using ear protection for her during thunderstorms or fireworks. In the end, it is always best to correct a problem, not simply try to treat the symptoms. Why not check out the Online Training System by Doggy Dan? Access the training videos now for just $1. 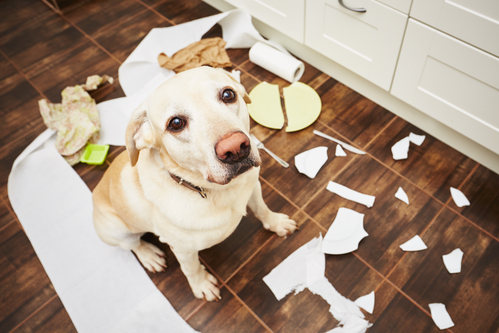 Would you like to explore some more dog behavior issues?